We wish to thank all customers who have supported N20 Nail Spa. 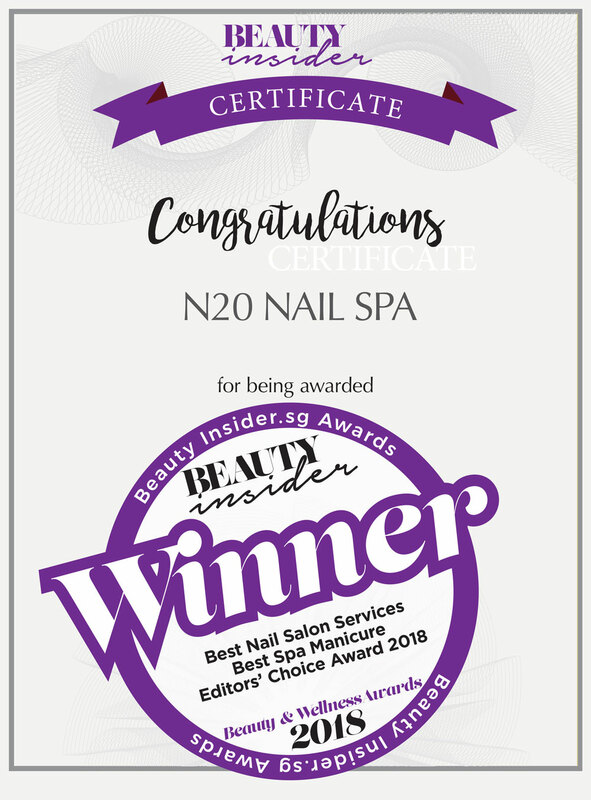 N20 Nail Spa has been voted the Best Nail Salon Services, the Best Spa Manicure and given the Editors’ Choice Award 2018 by Beauty Insiders, Singapore’s prestigious beauty portal that reviews makeup, skincare, hair care, spas and salons. 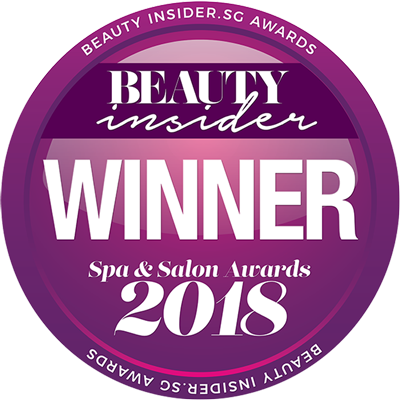 These awards are testimonies of our efforts to provide customers with the utmost pampering manicure and pedicure experiences from the moment they step into our salons until the moment they leave our salons. A visit to N20 Nail Salon will totaly change how you feel about yourself. Talk about mood swing…this will be for the better! For our manicure and pedicure nail art specialists will transform your 20 nail cuticles into lovely works of art that will delight your day each time you look at your nails. When we say pampering, we mean it! Check out the following reviews and testimonials from customers who have done their manicure and pedicure treatments at N20 nail salons.